Their rightful duty is to protect and serve. You’re a person minding your own business. You’re not perfect. You’ve got problems just like everyone else. Big or small, no matter your issue, you’re not worrying about it today. It was yesterdays news. As you go about your own business, you spot a civil servant of the city across the street. He stops you and asks you things that are too ambiguous for you to answer. You get flustered. He then accuses you of being guilty of something. He asks you to drop on the ground and put your hands behind your head. You’ve just been arrested by the law. A similar case happened to a young man. By now you must have heard about the peaceful Baltimore protest that had turned into a chaotic civil war among rioters, police officers, and the city’s people. One glimpse at the police made it fare game for them to arrest Freddie Gray. But it went as far as injuring the civilian and throwing him in a van without a care for the culprit that had no reason for being arrested in the first place. He did conceal a switchblade, but no evidence was reported that he was threatening anyone’s life with it. About 7 days after his arrest, on April 19th, 2015, his life ended with a mysterious story. His neck and down along his spinal cord had suffered severe damage. The testimony we’re familiar with is that the six police officers that took Gray into custody did not restrain him appropriately inside the moving vehicle, this causing his injuries. We’ve also heard from witnesses that the officers were using unnecessary force toward the young man before handcuffing him and dragging him in the vehicle. Non-the-less, a video footage leaked shows Freddie Gray waling out due to pain done to his legs. It was also mentioned that Gray was telling the police that his neck was also in pain. Neglecting their duties, the six officers thought nothing of it. Ultimately causing his death. The officers were suspended with pay until further notice. Freddie Gray’s death became a symbol of unity toward a corrupt government. Just the other day, people from different states took to the streets in support against the inhuman justice that was delivered toward Freddie Gray. 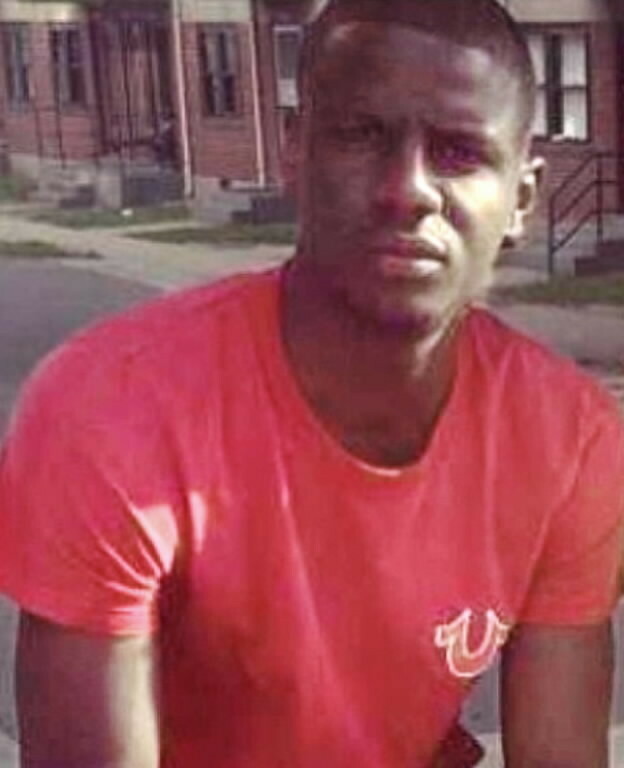 Peaceful protesters marching on the streets of Baltimore declared answers to why the young civilian died, but just like their ambiguous response to his arrest, they fail to deliver a charitable answer. Angry protesters attracted rioters which then caused an outbreak of criminal acts. The people’s curiosity turned into hate and anger thus losing focus onto why they protested in the first place. But avoidance of a riot burst was un-containable after a point. The reason is because we by nature are usually being held down by an external force, rules for example. We want something which we can’t have or strive to obtain. And if we want something bad enough, we will make it known of our greed. In this situation, the fine line was crossed when our demands for an answer to a young man’s death were that of illogical reasons to come to terms with a messed up truth from our rule-makers. From that point on, our humanity withered and our anger and rage grew furious. What was once innocent evolved into something criminal. And although I don’t support harmful riots and criminal acts, the streets of Baltimore was filled with like-minded Americans. It shows that as a people, we are able to stand up and fight for what we believe is right, or we wreak havoc against those who suppress us. Just like wildfire, if not contained, we will spread. I’m not implying all officers are bad. I’m not implying that having rules are bad. We need them to sustain everyone’s safety. But when you have someone who’s supposed to protect us from rule beakers, break those very rules themselves, they’ve now fueled the flames of hypocrisy. The thing about hypocrisy is that it’s a two sided coin. People will then become hypocrites themselves because it seems okay for the law defenders to do it. Since we see officers as one body of government, it’s hard to have trust in individual officers. There are good cops that care out there, but due to one cop’s judgments, it leaves a memorable mark in our past. Thus blaming the entire police force. An officer is not allowed to arrest someone because of a glare and assumptions. Due to the officers’ assumption that Freddie Gray was up to no good, they’ve not only injured and arrested him, they also cost him his life. Before Freddie ran from the police, he was minding his own business. Before his legs were injured, he was standing, walking, and riding his bike. But when the law sent the brutality upon him, he lost his legs, his rights, everything. All because he looked at a few officers.